Three years ago, director Sam Mendes took the reins of the Bond franchise, pitting cyber terrorism against old fashioned knuckle and grit, employing the most talented international actors working, and crafting the single best 007 film of its then 50-year legacy, Skyfall. Hell, it even had the best song. That’s a big martini glass to fill with a follow up, and his Spectre can’t quite live up. In what’s rumored to be Daniel Craig’s last go-round as Bond, cybercrime and the possible end of the Double 0 program are again the causes of conflict. M (Ralph Feinnes) has a new boss who’s more interested in a global surveillance than man-on-the-ground spying, but Bond can’t be worried about that right now. He has a secret mission and an old adversary to deal with. Christoph Waltz, an ideal candidate as a Bond villain, is the puppet master, and through him Mendes gets to toss in scores of nods and winks to the entire span of 007 films. There are gadgets, familiar names, enormous henchmen, Bond girls, elaborately staged chases, cheeky one-liners, and cocktails being “shaken, not stirred.” There’s even a board meeting of evil worthy of an Austin Powers film or a Simpsons send-up. There’s too little else, though. The film starts off gloriously enough with a brilliantly filmed action piece set in Mexico City’s Day of the Dead parade, but Mendes and crew soon settle into a muddled, anti-climactic mishmash of old tropes and familiar ideas. Spectre offers dozens of gorgeously framed, eerily lit, elegant images, but the drama and style of the previous effort are missing. Shallow writing full of ludicrous sequencing and convenient decisions rob the film of the resonance Skyfall offered. 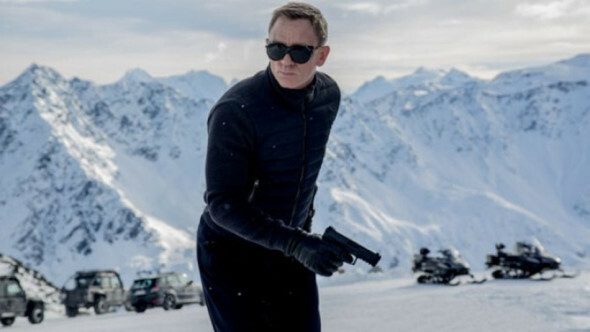 Lined up against most Bond efforts, Spectre is a fun, lively bit of entertainment. It just so badly misses the high water mark left by Skyfall that it can’t help but feel like a let-down.